Yesterday, was one of those days. One of those days that remind me exactly why I love travelling. Having spent most of the day wading through thoughts and laying down the foundations on which we can build the PWP Project I was sick of sitting at a keyboard. I jumped on the Lower Trancura (Class III) just outside the hostel for an evening run; nobody else wanted to paddle so it was a solo mission on a well-known run. Bombing down, playing in all the waves and holes along the way; appreciating the feeling of being on the river alone. Towards the bottom some locals waved me over wanting to speak to me. Curious, I went over to have a chat (or at least as much as I could with my extremely limited Spanish), they offered me beer so many times that I felt rude not to accept. They went on to invite me to their Asado beside the river (A Chilean BBQ, cooked over open fire, incredibly delicious); they were so excited that I had to say yes! We spent the next couple of hours talking (with enormous difficulty) and sharing beers until the BBQ was ready. After an incredible riverside sunset I realised I had better be gong to get down the rest of the river. Reaching the end of the run in darkness, it was a lot of fun only being able to see the whitecaps of the next wave in the moonlight. Things like this are the most memorable parts of travelling when locals invite you into their life for a short while and you truly get to see what a place is all about. You cannot buy it in a tour, or book it somehow. These true experiences need to find you; no photos as I didn’t take my camera for what I expected would be a quick trip down the river. I got back from an enormous day to the news that the project had made it over the $5000 target, funds would be processed and the project would actually go ahead. The day started with what I thought would be a quick hike in El Cani National Park. A significantly bigger mountain than expected, I was wishing I had more time to spend up there, but got a call from Marlo that Los Nevados was at a good level. I promptly jogged down the mountain to make the most of what was left of the evening, this is a creek not to be missed; only up for a day or to each month you have to be lucky to get on it. Loading up with Nutella and granola (the only things ready to eat in the van), giving me the quick energy needed to get down the multitude of waterfalls that make up the Nevados. We jumped on the creek around 7pm and bombed down the tightest steepest creek I have paddled; having run it a few days before we both knew the lines and so were able to bomb down. Buying local cheese, bread and empanadas on the way home, its safe to say I was completely exhausted at this point, but incredibly happy with an excellent day. A quick email check revealed the project had reached its target. I was speechless, could hardly believe it. Something which I didn’t really think was possible when starting out, had now come to fruition meaning so much was possible. I had always believed in the goal, and wanted to make it happen, but had already convinced myself that the fundraising probably wouldn’t get over the line, and that I would need to search for other ways of making it happen. So many questions began racing around. When will we complete this? Who might be involved? How do we find them? So many possibilities, opportunities and ways of achieving the goal, just a matter to figure out which one is best. It has been extremely exciting to have been contacted by a few photographers/documentary makers interested in offering help or advice to complete the project, and I am sure as we move into the next phases of the project all these elements will fall into place. I decided to head into the mountains for some quality pondering time. To straighten out all the thoughts that were buzzing around and figure out what the next steps would be, now that it was actually happening. 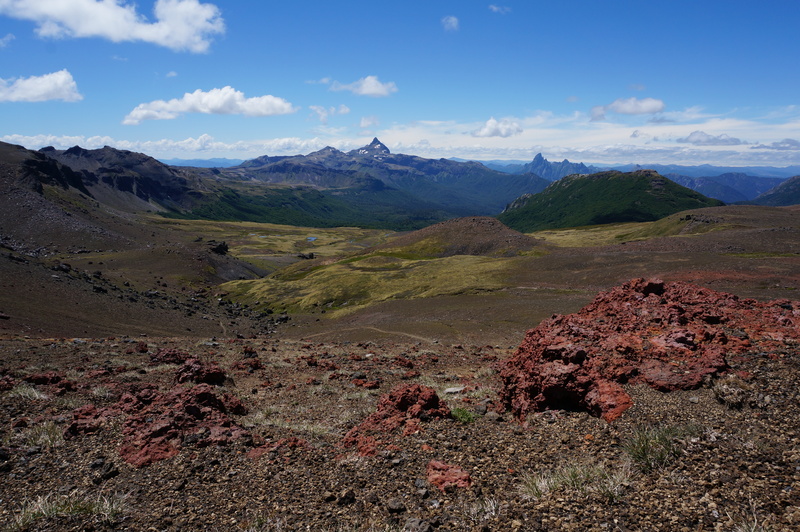 6 spent days hiking the Villarica Traverse were more challenging than expected, but incredibly worthwhile. Day 4: While the wind howled outside, my left knee complained loudly throughout the night, telling me that my pack was too heavy and that volcanic scree slopes are not an ideal walking surface. I almost decided to finish the hike early because it felt so bad, but ended up plodding on slowly but surely towards Laguna Azul. 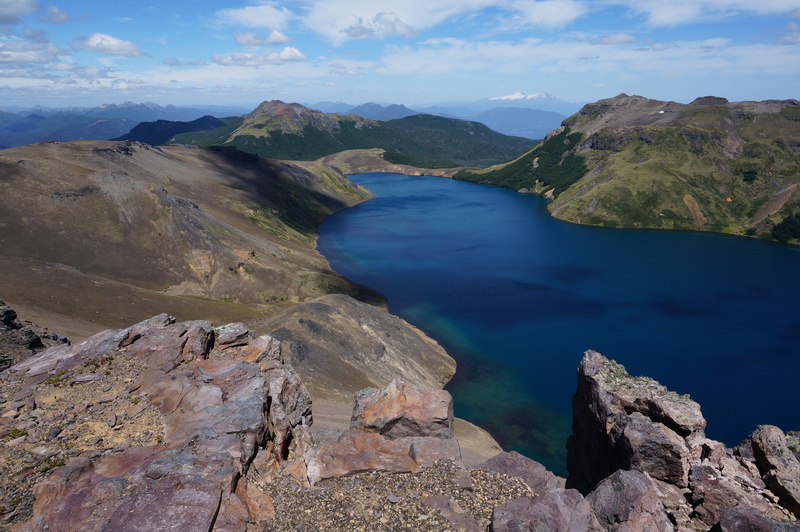 My efforts were rewarded when I came over the ridge to see the most incredible blue lake, high up in the Andes. Aches and pains forgotten immediately. Day 5: Crossing arid volcanic deserts, then coming over a ridge into green oasis, tiny lakes cascading down the mountain slopes, one into the other.Stunning mountain vistas in the background. Day 6: Hike out, and then a quick hitchhike/taxi/bus ride back to Pucon. Astounding how quick and easy getting around small rural areas is when there are many people who rely on local busses. All in all, an excellent couple of weeks spent around Pucon. Meeting a great bunch of people, kayaking almost every day, improving & learning. 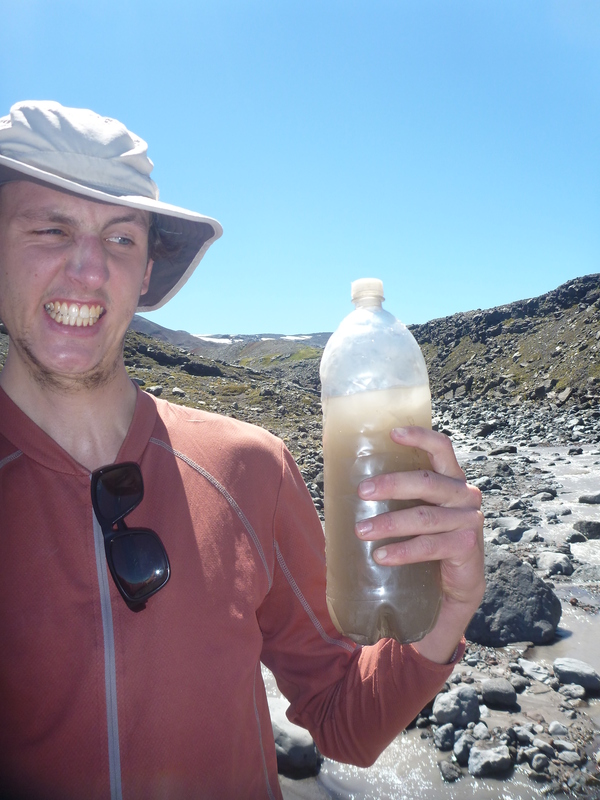 Looking forward to heading down to Futaleufu in the next couple of weeks for a some big water experience.